Mythological action-adventure game God Of War has received 10 nominations at the video game industry’s Bafta awards. The PlayStation-exclusive game is up for the best game prize alongside Assassin’s Creed Odyssey, Red Dead Redemption 2, Astro Bot: Rescue Mission and indie games Celeste and Return of the Obra Dinn. Its nominations also include recognition in the narrative, music, game design, artistic achievement and audio achievement categories. Rockstar Games’ open world, wild west adventure Red Dead Redemption 2 is nominated for six awards, as is Return Of The Obra Dinn and mobile game Florence. The British Academy Game Awards will take place in London on April 4, hosted by comedian Dara O’Briain. The event will also include the presentation of the EE mobile game of the year award – the only prize voted for by the public – with battle royale game Fortnite among the nominees. It is joined by Brawl Stars, Clash Royale, Old School Runescape, Pokemon Go and Robolox. Red Dead Redemption 2 also features among the nominees in the best British game category, alongside First World War narrative adventure game 11-11: Memories Retold, driving simulator Forza Horizon 4, puzzle game The Room: Old Sins, professional kitchen simulation Overcooked 2 and hospital management game Two Point Hospital. 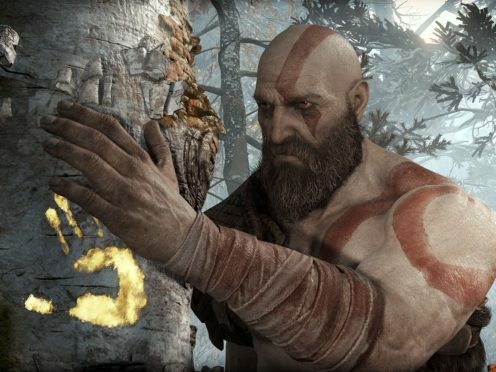 Christopher Judge’s portrayal of lead character Kratos in God Of War sees him nominated for the best performer award, alongside co-stars Danielle Bisutti in her role as Freya, Jeremy Davies in his role as The Stranger and Sunny Suljic for his role as Kratos’ son Atreus. Melissanthi Mahut is also nominated in the category for her role as Kassandra of Sparta in Assassin’s Creed Odyssey, as is Roger Clark, who plays protagonist Arthur Morgan in Red Dead Redemption 2. The awards are part of the annual London Games Festival, which runs from April 2-14 and involves 40 events in the capital. Backed by the Mayor of London and industry trade body The Association for UK Interactive Entertainment (Ukie), it hopes to make the city the “games capital of the world” generating around £35 million.